I had an extremely interesting time a couple of weeks ago in Florianopolis, in the state of Santa Catarina in the south of Brazil. I have been there previously on holiday, to the island which is a popular destination for Brazilians and also Argentinians and other nationalities. In addition to tourism, the region is becoming a hub for new technology, innovation and incubators, with many companies partnering with the university. 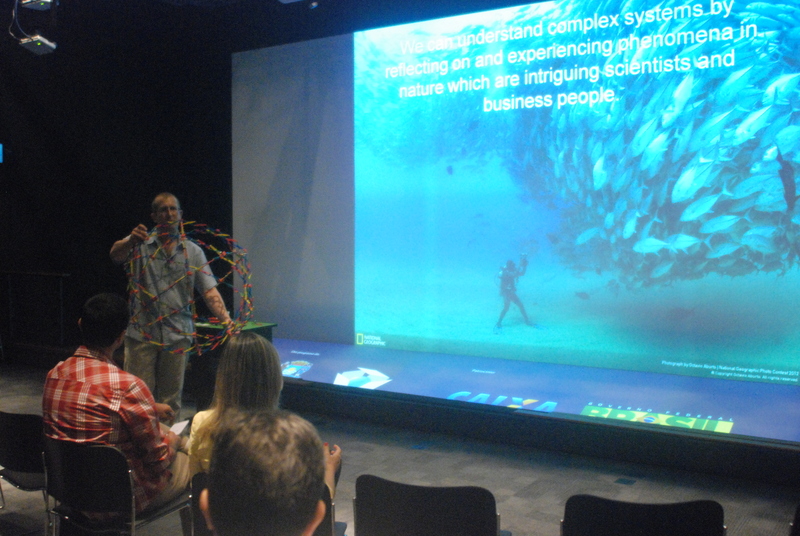 I had been invited to speak by Tatiana Schreiner from ÁgoraLab, who are based at Sapiens Park, a fantastic new facility where there is a vibrantly creative clash of technology, sustainability, art and science. Tatiana, like me, is an alumni of Schumacher College and had asked me to come down to talk about complexity, sustainability, biomimicry, innovation and transition in relation to both smart cities and also the development of Florianopolis as a smart region. 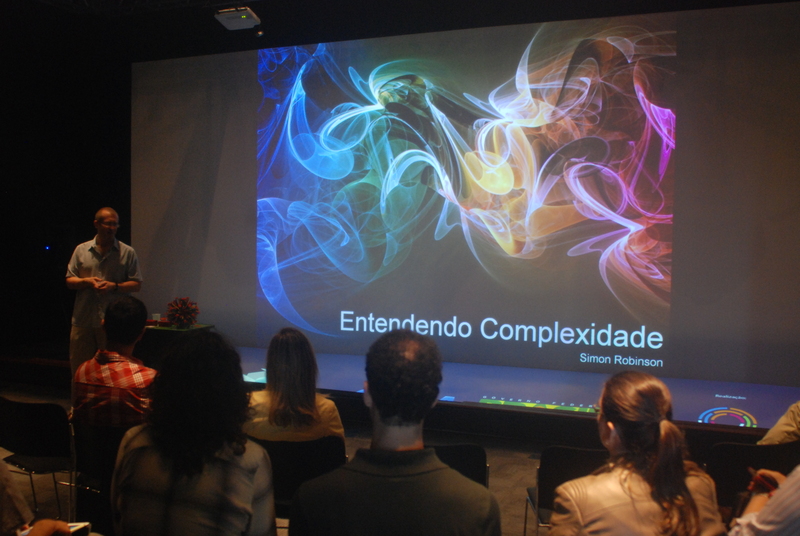 Sapiens Park has a wonderful theatre where I could experience my slides and videos projected on to a whole wall. Tatiana brought together quite a mixed audience, people with a range of backgrounds, interests and involved in many different projects, and so the day was really great not just for me, but to allow everyone to discover just how much is happening there and at the university. As many of you will already know, I like to have fun in my lectures, and do various exercises to help people comprehend the points I am making, especially those around “seeing”, mental models and dynamic systems. I took my Hoberman Sphere to talk about the need for how we do not need to just change our mental models, but expand our consciousness in order to be able to comprehend systems as “authentic wholes” and not as “counterfeit wholes”. 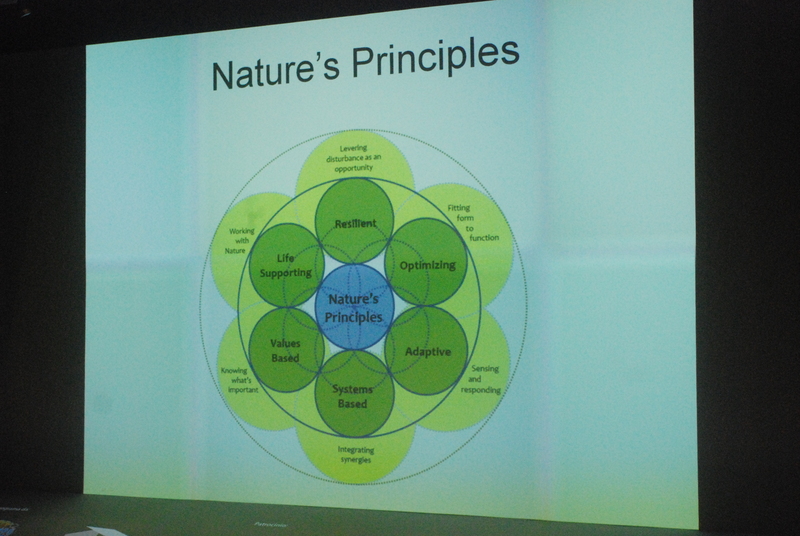 I am a member of Biomimicry for Creative Innovation (BCI), and I also spoke about how the vision of smart cities can be influenced by thinking about complex systems in nature. What is interesting about Ágoralab’s vision is that they are not just developing technology, but looking to understand how best to include the entire community. This is no simple task, especially given that much of the population of Florianopolis is seasonal, and also Brazil has many challenges to overcome relating to historical underinvestment in education. But Sapiens Park is also home to 2million square metres of natural park and botanical gardens, and there is a phenomenal amount of potential to develop the area in some very smart ways. My talk was only four hours, but we seemed to be able to discuss a huge number of themes. 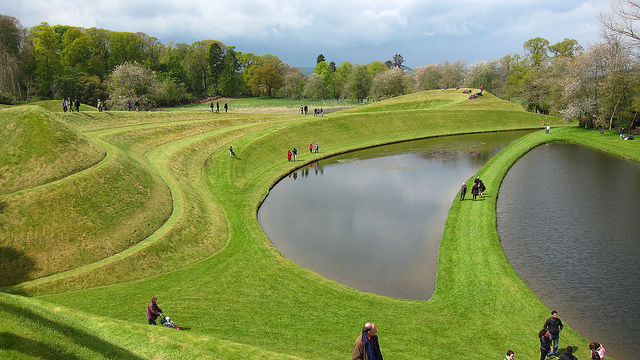 One highlight for me was being able to show my photographs of The Garden of Cosmic Speculation on a big screen. The reason Tatiana asked me to talk about this garden was not to say that we should copy it in Brazil. As I already said, Brazil has both educational challenges and also technology challenges too. A recent study placed Brazil 60th in the world rankings of countries best able to take advantage of new technology. Brazil needs to think big, and it is through amazing think tanks and laboratories such as Ágoralab that creative visions and solutions can come to fruition. They are already at the cutting edge of smart city thinking in Brazil, but why not add in art and science to turn a smart region into Brazil’s most knowledgeable and wise through experiential learning and exploration? Ágorlab already are involved in a variety of projects, and their members have already created and hosted many events both in Brazil and around the world for the Brazilian government, such as those which took place during the South African world cup and the London Olympics. I had a fantastic time meeting such a variety of interesting people, and I really look forward to seeing the projects and Florianopolis flourish, not only inspired by technology, but inspired and in harmony with both nature and the whole community.